Political feat: Can Speaker Ryan and GOP work with Trump? 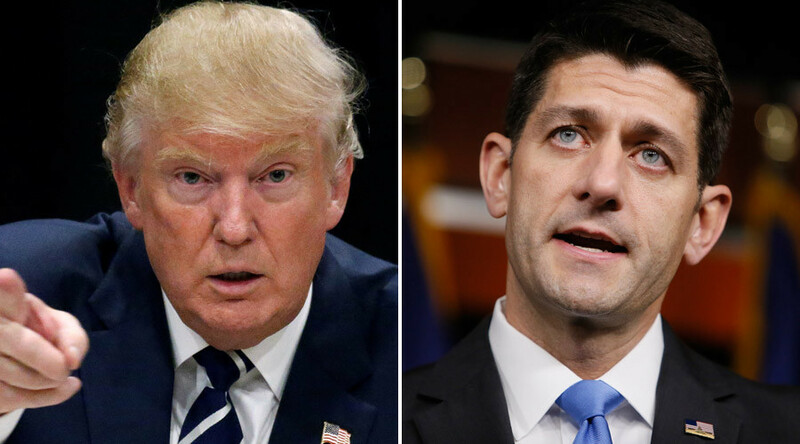 GOP House Speaker Paul Ryan said the president-elect Donald Trump “just earned a mandate.” However, whether Trump’s plans for a national infrastructure rebuilding program dovetail with Ryan’s ideas of tax reform remains to be seen. BREAKING: House Speaker Paul Ryan says Donald Trump "turned politics on its head," promises "hand-in-hand" work on GOP agenda. He said the president-elect was able to reach out to people nationwide. “Donald Trump heard a voice out in this country that no one else heard. He connected in ways with people that no else else did,” Ryan said, according to The Hill. “We will work hand-in-hand” on the GOP agenda, he added. Dubbed the Better Way, the agenda includes tax cuts for all, a comprehensive tax overhaul, a dismantling of Obamacare, a roll back of Obama’s energy policies and his regulatory agenda, national security and spending cuts. The White House on Wednesday said President Obama was concerned about stripping projections from the healthcare law. Ryan also distanced himself from Trump during the campaign, particularly over the release of a 2005 video of Trump bragging about groping women. During this victory speech in New York, Trump said it was time “for Americans to bind the wounds of division." “I pledge to every citizen of our land that I will be president for all Americans and this is so important to me,” said Trump. “Every single American will have the opportunity to realize his or her fullest potential. The forgotten men and women of our country will be forgotten no longer,” Trump said. Whether Ryan’s favored tax cuts plan will work with the president-elect’s agenda of a $5 billion infrastructure rebuilding bill is unknown. “That’s not in the Better Way agenda,” Ryan said about the infrastructure bill in October, according to Bloomberg.